Is Hayley McFarland Lesbian ? 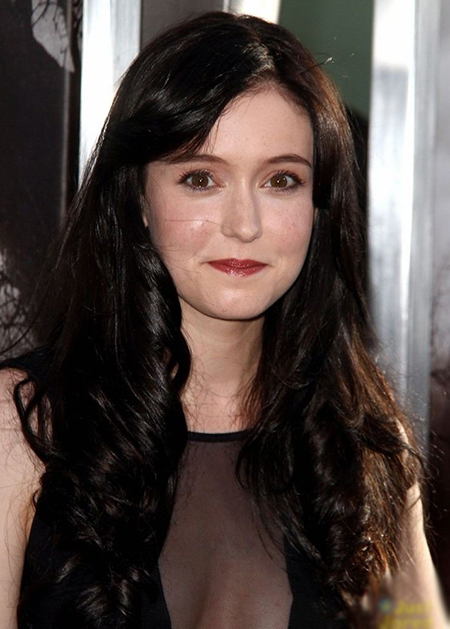 Hayley McFarland is better known for her reel name Emily Lightman from the Fox TV series Lie to Me is entertaining the audiences since 2006. Besides acting, she is equally active in singing and dancing. Hayley McFarland is possibly single and not dating anyone at the moment. The actress is quite secretive about her personal life especially when it comes about her dating life and relationship. Hayley McFarland at Fox 2010 Summer TCA All-Star Party. Previously, McFarland was reported to date a guy named Eric Boshart, however, there is no detail information regarding their love life. The couple was last seen in March 2016 at Santa Barbara for wine tasting and afterward, there were never spotted together. Hayley is an avid cat lover and she pets two cats a black and a white. The conjuring actress is quite active in Instagram where she garnered more than 19 thousand+ followers. Hayley McFarland's estimated net worth is $3 million (as of 2019) and all thanks to her acting career. The actress made nearly $100,000 from her movie appearances. Similarly, she earns $70,000-$80,000 per episode from TV series. Hayley McFarland at a public event. In 2013, McFarland starred in a supernatural horror film, The Conjuring along with Vera Farmiga, Patrick Wilson, Lili Taylor, and others. The movie was a massive hit at the box-office with a total collection of $319.5 million against the budget of $20 million. Hayley McFarland talking about her role and experience in Lie to Me, Check out the video! Hayley also made a good fortune from her public appearances and brand endorsements. Moreover, she earns a decent sum from her dancing and singing career. Hayley McFarland was born on March 29, 1991, in Oklahoma, USA. In early 2000, she moved to Los Angeles to begin her professional acting career and in 2008 she permanently relocated with her mother. Hayley got her major breakthrough in 2007 in An American Crime starring Ellen Page, Catherine Keener. Some of her popular screen credit includes Gilmore Girls, ER, and Criminal Minds, Winged Creatures and others.